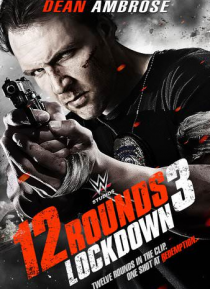 WWE Superstar Dean Ambrose plays Shaw, a detective that returns to active duty after the death of his partner. When he uncovers evidence linking his fellow officers to a murder, they frame him for a homicide he didn't commit. Trapped in his own precinct, Shaw will do whatever it takes to expose the dirty cops and clear his name. With twelve rounds in the clip and one shot at redemption, nothing wi… ll stand in Shaw's way in this action-packed thriller.